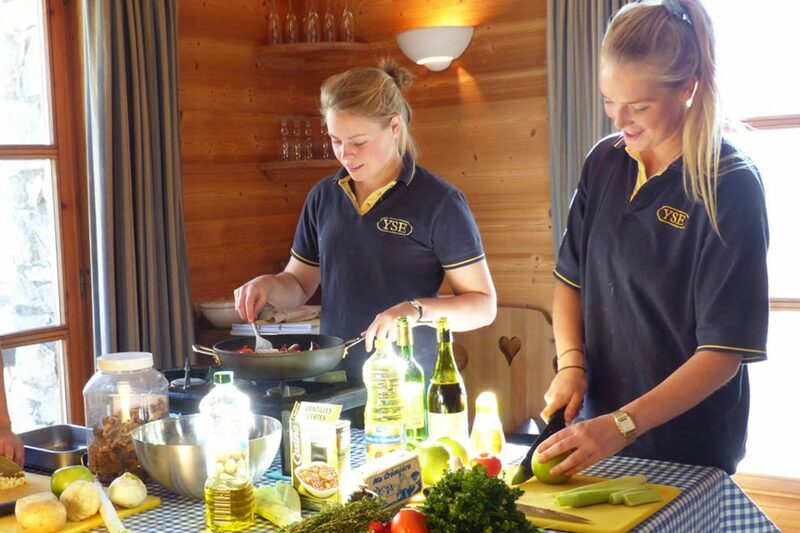 YSE’s November cookery course in Val d’Isère is for YSE staff only. And it is free! A month of non-stop cooking run by an ex-head-trainer at the Grange Cooking School in Somerset, it brings inexperienced cooks who just love cooking up to a professional standard, helps professional chefs become familiar with local ingredients and cooking at 6,000 feet, and allows our many repeat chefs to experiment with and pass on any new ideas they have picked up over the summer. You can apply to work with YSE on this website and if you’re successful we will offer you a job and a place on the cookery course. And it’s not just free, we actually pay you while you’re doing the course! It also includes food hygiene, ice driving for those who need it, mountain safety, free ski and snowboard lessons – everything you could possibly want for a smooth, successful and enjoyable season in Val d’Isère. Before applying for a job with YSE, please read the Recruitment Overview page. Read more general Staff Reviews here.